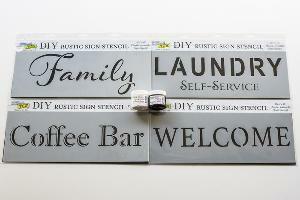 Prize: These stencils can be used for paper arts, sponging, spraying, chalking, spritzing and so much more. Statistics: This contest was opened by 137 and entered by 5 ContestChest.com members. 4% of those who opened the contest, entered it.